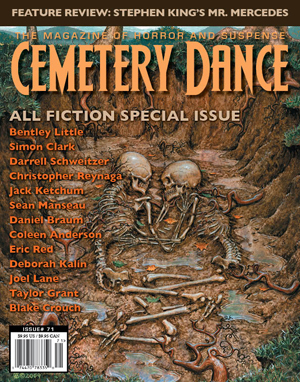 Cemetery Dance Magazine #71 with a cover date of May 2014 was recently published. This is the special all fiction issue and I am thrilled to be a part of it. Thanks to Richard, Brian, Norman and the entire Cemetery Dance team. I’m extra excited to have my name on the cover along side such a list of amazing and talented writers. I will post a teaser and a small bit of history about the story in another post. Meanwhile I hope you enjoy the story. I joined Twitter earlier this year. Find me at @danielbraum easy enough. I still have a facebook account but I rarely go there and I find myself on twitter all the time. What is the quickest way to get to Carnegie Hall ? Buy tickets to see Neil Gaiman’s multimedia extravaganza of course ! The author of the beloved Sandman comic book series is coming to NYC tomorrow night. I will report back on how it was.